DESI SMITH Staff photo. 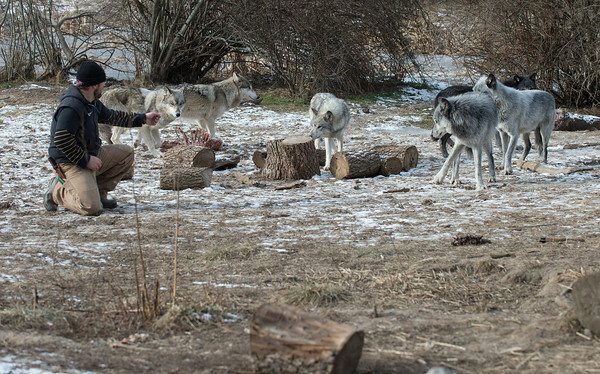 Owner Zee Soffron of Wolf Hollow on 133 in Ipswich, Ma feeds a pack of gray wolves after being brought back when the pack of six escaped. Wolf Hollow is undergoing projects to fix fencing that gave away last week and allowed six wolves to escape.